Cricket is said to be a batsman’s game. Bowling is not an easy task as the rules of the game favour the batsman more than the bowler and hence is always dominated by batsmen. But there are some bowlers with extraordinary talent who gave a torrid time to the batsmen during their playing days and were able to etch their names with golden letters in the history of cricket by dint of their performances with the ball. Here let’s take a look at the top 10 greatest bowlers of all time in the history of cricket. 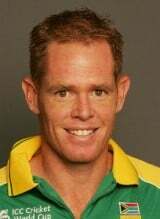 Shaun Pollock is a right arm medium fast bowler who played for South Africa from 1995 to 2008. He also had a good hand in batting and was a good all-rounder during his time. Shaun pollock is considered one of the best ever bowlers playing for South Africa. He was a street smart bowler, Accuracy and sharp swing being his greatest strength. He has claimed more than 800 wickets in international cricket at a very impressive average. Shaun Pollock occupies the number 10 position in our list of top 10 greatest bowlers of all time. Previous articleThe Henriques Factor : Who is India’s true all-rounder?